Are you ready for an entirely different concept of girls clothing? Your treasured daughter deserves to have the most beautiful girls dresses and outfits. 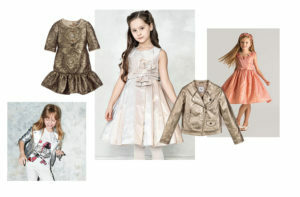 Adoration will follow your little doll when she proudly wears designs from Papilio Kids. Papilio Fashion House has seen great success, being the leader in bridal and evening fashion industry for more than 15 years. The company built its reputation for quality, exclusive designs, and reasonable pricing. At the moment the brand is represented in more than 30 countries around the world and continues growing. Papilio Kids is a branch that specializes in flower girl dresses and special occasion outfits for little girls, from 3 to 14 years old. The idea of introducing girls fashion was brought by a team of young talented designers, who just got educated and trained in Milan, Italy. They were able to bring their expertise and launch one of a kind girls clothing fashion line available in Europe. “We built Papilio Kids fashion lab, developed the new facility on the grounds of Papilio Fashion House in Europe, trained our staff abroad to launch this outstanding girls clothing line, and meet our clients’ expectations” – saying Alena Goretskaya, the chief company designer. At Papilio, we embrace the philosophy of unique fashion, attention to details, and high quality. Girls dresses are 100% handmade. Utilizing the most innovative methods and advanced technology, following the latest fashion trends and styles, Papilio Kids offers divine collections of girls special occasion dresses twice a year. Your little girl will feel confident and comfortable, wearing stunning pieces from these extraordinary collections. In fact, some of Papilio flower girl dresses are mini replicas of wedding gowns. Tailoring patterns and techniques were specifically transferred and modified for the collection. Can you imagine your daughter in a flower girl dress that is a mini replica of a Papilio wedding gown? Nothing will make her feel more special than the feeling of being a real princess for a day. Papilio Kids offers not only fashionable styles but also high-quality clothing garments. Working on kid’s fashion line, Papilio’s focus remained the same – a careful selection of fabrics and décor with high-quality tailoring and reasonable pricing. 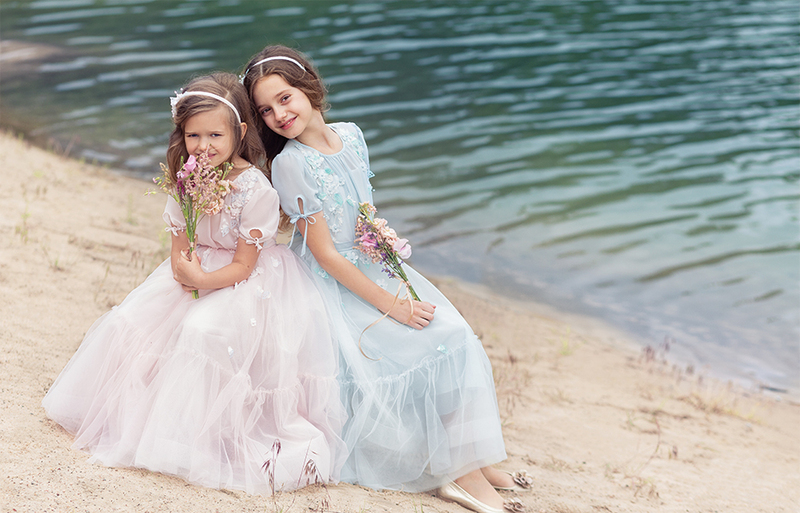 Papilio girls dresses are made of luxurious materials and exquisite embellishments from Italy, France, and Spain. All embroideries are 100% handmade. In addition to its exclusive designs, Papilio Kids girls clothing is practical and comfortable to wear. It will not cause discomfort or allergies, and they are easy to iron and wash. Please note that girls clothing by Papilio is available by pre-orders only. Whether you order online or in store, all garments will be produced upon special request. Everything is hand crafted in Papilio Kids fashion lab in Europe; that’s why it requires time, but allows us to offer you truly exclusive and superior quality product. Each order might take between from 4 to 8 weeks. Please review our Size Guide and agree to all policies prior placing your order. 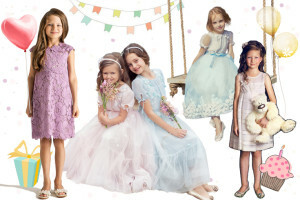 Whatever events you have in life whether it is a wedding, first communion, birthday celebration or family photo shoot, Papilio has the perfect dress for your little princess to look beautiful and special! An exciting international expansion is taking place due to the popularity of Papilio Kids across Europe and Asia. At the moment Papilio Kids is presented in baby and kids clothing stores in 50 cities, and we are looking to expand. If you are passionate about Papilio and want to host the brand at your store, please send your request at info@papiliokids.com.